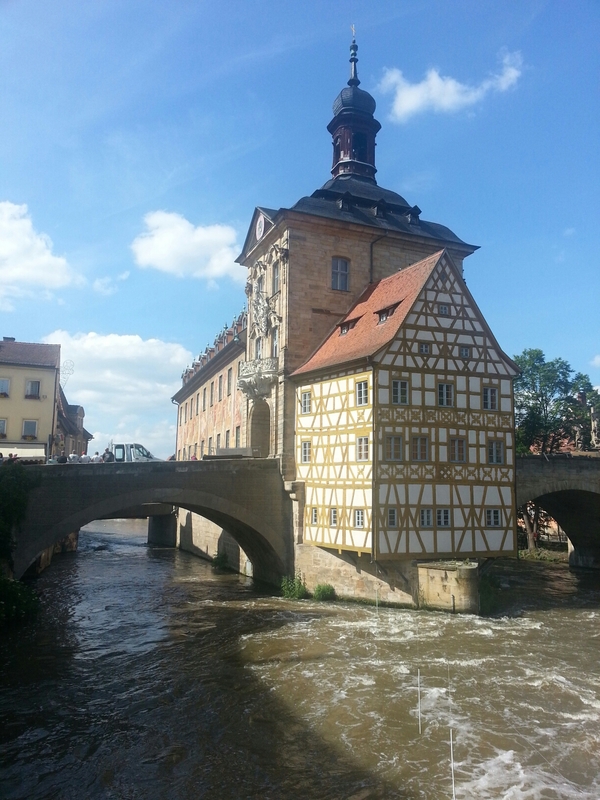 Bamberg! Famous for their Rauchbier, smoke beer. The story goes that 200 years ago the malt used to be roasted over open fires causing the smokey flavor. Our tour director described it as liquid bacon. Of course, that meant I had to try it. 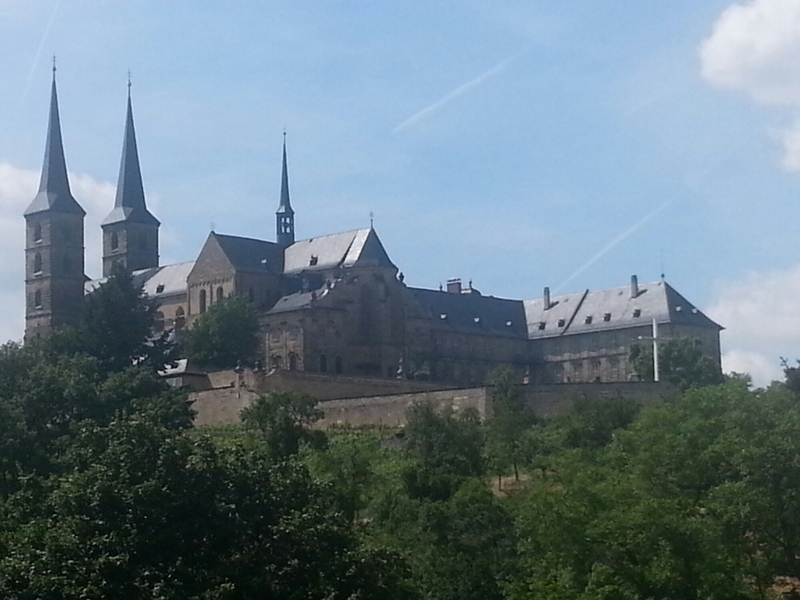 There is also the only Pope entombed north of the alps here. You could only see the tomb if you stood on your tippy-toes and craned your neck but we were assured it was there. After the tour, time for beer. My assessment of the rauchbier was that it tasted like smoked gouda, not terrible but not something I’d drink more than the 1/2 liter we split. The other attraction was the Old Town Hall, which was built on an island to spite the bishop who wouldn’t allow the town to build it on “his land”. It was quaint and quirky at the same time. Bacon beer? Well it’s good to try all of the specialties. Looks like you’re having good weather? How’s the food on the ship? How is it for sleeping? I hope you’re having a great time. I really enjoy the blog.